No, it'll be a FUV (Ferrari Utility Vehicle). Whatever that means. Here’s what we know: Ferrari wants to double its profits by the year 2022 and to do that an SUV (of sorts) will be required, among other things. The so-called "Ferrari Utility Vehicle" has already been described as a "five-door, high-riding coupe" with suicide doors, and no B-pillar. Translation: invisible rear doors. Sounds cool. But a new report from Automotive News indicates that Ferrari CEO Sergio Marchionne doesn’t see the "FUV" as being a Porsche Cayenne or Lamborghini Urus competitor, or even a true off-road capable SUV. Instead, it will be the Ferrari version of an SUV, the FUV. Still following this? Here’s Marchionne’s logic: the SUV segment is simply too big and, therefore, too profitable for Ferrari to ignore. Therefore, it needs to get involved somehow in order to meet or beat its profitability goal. It will be a utility vehicle that’ll be "Ferrari style" for the "selected few." It won’t be known for "being able to climb rocks." So, an SUV but not an SUV? Exactly. The FUV, as is our best guess at the moment, will be more like a jacked up next generation, four-wheel-drive GTC4Lusso with invisible suicide doors. Its four-wheel-drive system will enable it to handle some minor off-roading (beach driving, perhaps? ), but won’t have the necessary ground clearance for rock climbing. 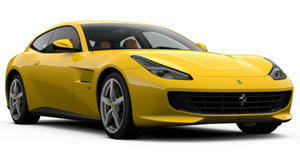 Performance, as with any Ferrari, will be its primary focus along with a luxurious interior. The FUV sounds like it’s a slippery slope for the company, so it’s no wonder some investors were worried when word got out about its planned existence. That’s why Marchionne recently made these comments, to reassure those investors he’s not diluting Ferrari’s reputation and selling out to the SUV bandwagon. In any case, it’ll be fascinating to see what the FUV will be like when it’ll supposedly debut in 2021.